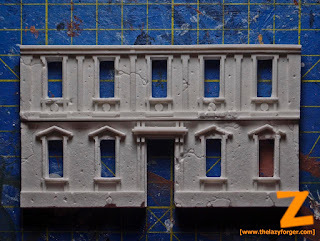 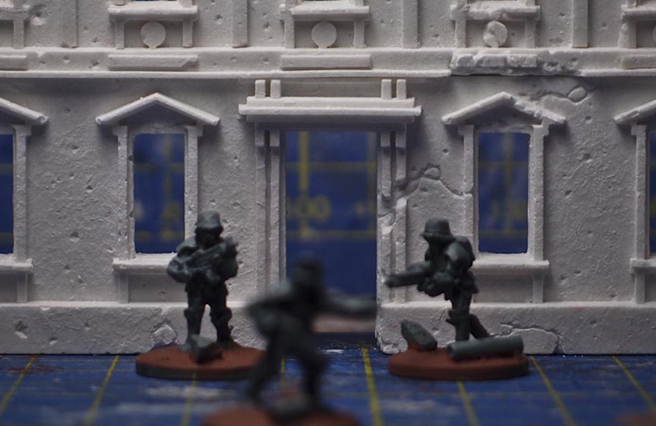 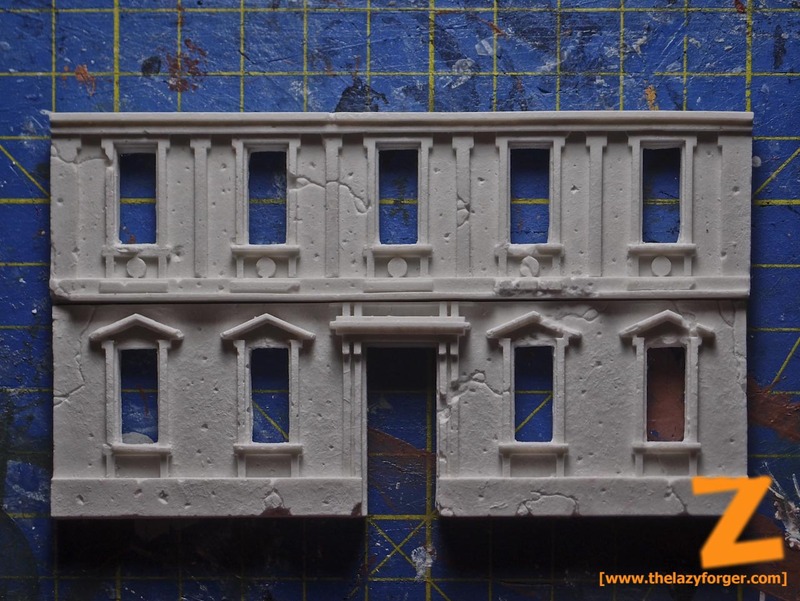 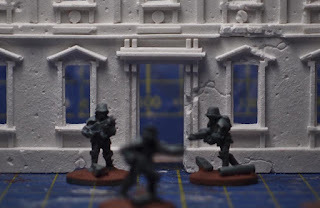 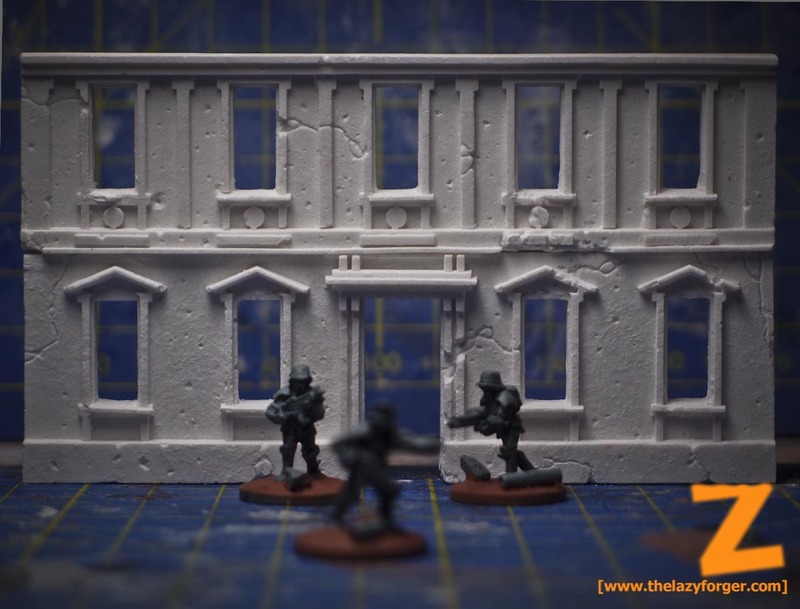 This was a first experiment I did with Resina Planet to build 15mm WWII buildings a few years ago. 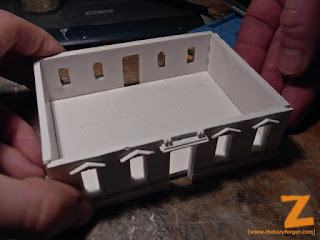 The project stalled for lack of interest on both sides, but I learned many tricks and solutions that I then used in the next projects. 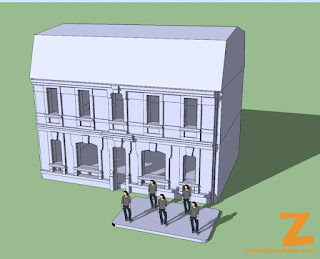 The first project sketch was 3D modelled to get a first feeling. 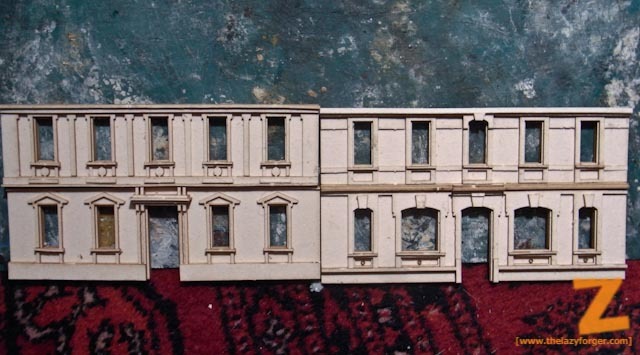 The buildings were composed from laser-cut parts I specifically designed and hard hand work. Once assembled, the laser cuts were used to create ceramic parts, that have been joined together to create the floors. 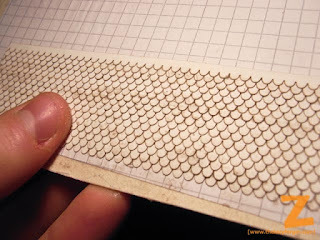 The roofing was made of individual strips of tiles, glued together in position. 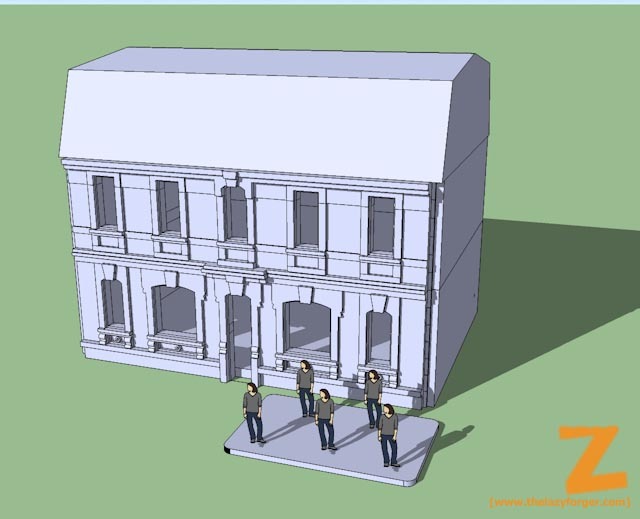 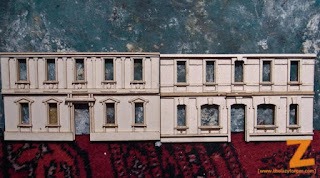 And well, here's the final result of the first facade. Hopefully I'll find a good use for them, sooner or later.